The writings of Socrates, Plato, and Aristotle have resonated through the millennia and continue to influence the lives of people today. 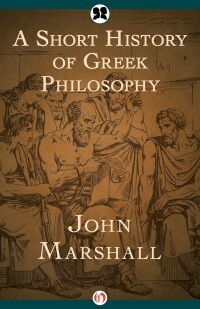 In A Short History of Greek Philosophy, renowned British classicist John Marshall provides a thorough yet engaging account of the seminal philosophical movements of ancient Greece, from the Sophists to the Sceptics to the Stoics. For readers looking to dip their toes into the vast ocean of Western philosophy, Marshall’s history provides the perfect springboard.